Posted January 11, 2017 by jordannet66 & filed under Blog. In the field of loft conversions, there are three main types of conversion styles. One is the dormer roof conversion, which is the most commonplace variety. Another one is a Mansard loft, which we have covered in our previous article on the subject. The third one we are focusing on for this post, are hip to gable roof conversions. With this style, part of a hipped roof is converted to a gabled roof. 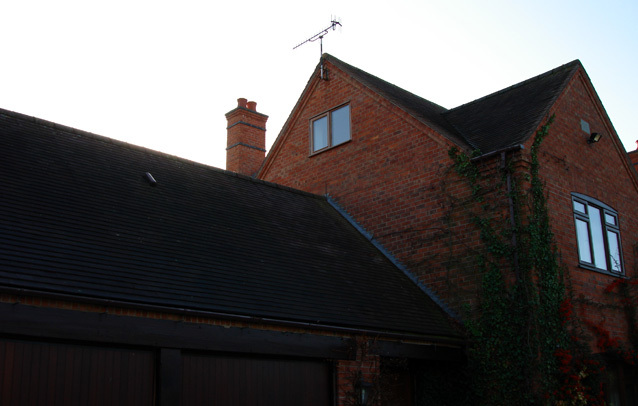 Seen above is an image of one of our previous conversions: a hip to gable conversion in Leamington Spa. What is noticeable is the extra space on what may have been a hipped roof. Sometimes, a dormer window would complement the hip to gable conversion, adding more space to your home. Where a dormer window is added, its boxiness enables the addition of extra rooms. A bungalow could have a second floor; a standard two storey house could have three. With hip to gable conversions, a dormer window may be omitted in favour of skylights that rest upon the roof. This is a more cost-effective alternative to the dormer window. In some cases, skylights may be used in addition to dormer windows. The good thing about hip to gable roof conversions is their ability to accommodate full length dormer roofs. This is helped by the extra space affected by the roof’s transition from a hipped roof to a gabled roof. The effectiveness of a dormer roof in terms of increasing space may be stymied by hipped roofs. Therefore, gabled and Dormer roofs can coexist peacefully. It is possible to combine gabled and Mansard roofs effectively. You get the best of both worlds with the Mansard roof offering space on a par with dormer roofs, and the flat wall space of a gabled roof. Up Another Level, 11 January 2017.